The exploration of the Medici tombs in Florence allowed us to study 20 individuals, currently skeletonized but originally almost all artificial mummies. Accurate examination of the skeletons revealed evident signs of autopsy and embalming, such as thin incisions of the external skull, horizontal and oblique craniotomies, longitudinal and transversal cuts of the sternum, and sectioning of the sternal extremities of the ribs. Study of these skeletons offers important information on the autopsy and embalming techniques of the 16th century court surgeons. Finally, the finding of an entire internal cast of the mummy of a 5-year-old child witnesses on the different types of plants and substances used to embalm the bodies in Florence during the Renaissance. Starting from the 14th century, the Medici gradually became one of the most powerful families of the Italian Renaissance, accumulating vast wealth through banking, commerce and skilful political ventures. This brought them to the forefront of social and political power in Tuscany and especially in Florence, which was the intellectual centre of the Western world. Lovers of literature and science, the Medici were patrons of several of the great artists of that period, such as Michelangelo, Leo­nardo da Vinci, Botticelli, Galileo, and Benvenuto Cellini. The senior branch of the Medici family was that of Lorenzo the Magnificent (1446-1492), while the junior branch - that of the Grand Dukes of Tuscany - began with John of the Black Bands (1498-1526) and ended with Gian Gastone (1671-1737), the last Grand Duke. The most important members of this latter branch, less famous than the former, were buried under the vaults of the Basilica of San Lorenzo in Flor­ence (Sommi Picenardi, 1888). In 2002, dr. Antonio Paolucci, Superintendent for the Florentine Museums, granted permission to examine 49 of the Medici family members buried in the church. We report here the results of the examinations of 20 of the 49 Medici tombs in the Basilica, including those of 8 children (Fornaciari, Brier & Fornaciari, 2005; Fornaciari et al., 2006; Fornaciari et al., 2007). A total of 11 out of 20 individuals showed signs of autopsy and/or embalming, but the number was probably higher for the damage of infantile bodies during the flooding of Florence in 1966 (Fornaciari, Brier & Fornaciari, 2005). Technique: The court surgeon tried twice, but with no success, to cut open the skull at the level of the right parietal bone; only at the third attempt was he able to make a rough horizontal cut which reached the occipital at a lower level and needed a sharp change of direction (Fig. 1a). The surgeon then opened the skull by inserting a large chisel into the cut, which damaged the skullcap in four different points producing some large bone fissures (Fig. 1b). Comment: We are in the presence of a rough horizontal craniotomy, evidently obtained with a bone saw and with no iron rim as guide. Technique: The surgeon cut the soft tissues with a subtle blade, as proven by some horizontal and oblique thin incisions of the parietal and temporal bones (Fig. 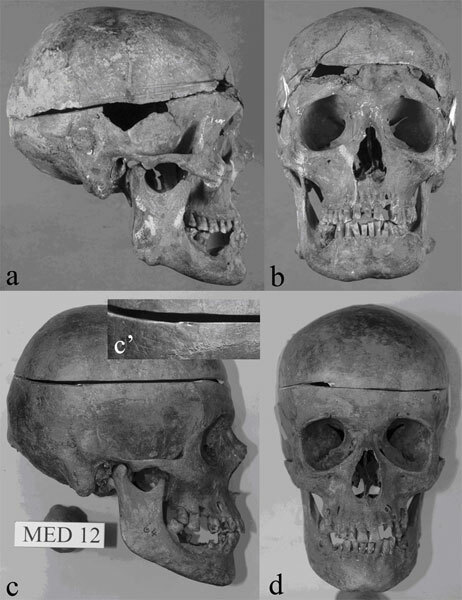 1c, c’); he then opened the skull with an accurate, horizontal cut, which reached the occipital at a lower level and needed a small change of direction (Fig. 1c, d). Comment: This is an accurate horizontal craniotomy, obtained with a bone saw and with no iron rim as guide. Technique: The surgeon opened the skull of this child, affected by a non-severe hydrocephaly (Fornaciari et al., 2007), with a very accurate, horizontal cut (Fig. 2a, b). Comment: This is an accurate horizontal craniotomy, obtained with a bone saw, probably using an iron rim as guide. Technique: The court surgeon opened the skull with an accurate, oblique cut (Fig. 2c). The sternal manubrium reveals a deep, transverse, slightly inclined, incision (Fig. 2d, arrow), produced by a large, very sharp blade. Comment: This is an accurate oblique craniotomy obtained with a bone saw and using an iron rim as guide; the cut of the sternum was evidently caused by a large knife, transversally sectioning the soft tissues of the anterior wall of the thorax, at the beginning of autopsy. Technique: The sternum shows a clean cut of the inferior tract of the left lateral border of the gladiolus, obtainedby a bone saw (Fig. 3a). Comment: the cut, longitudinal and slightly oblique, was produced at the moment of the opening of the thorax on the left para-sternal line, less easy for a surgeon working on the right-hand side of the body. Technique: The sternum shows a cut of the inferior tract of the left lateral border of the gladiolus (Fig. 3b, b’). Comment: The cut, longitudinal and slightly inclined, was produced at the opening of the thorax with a bone saw on the left para-sternal line, less easy for a surgeon who was positioned on the right-hand side of the body. Technique: The sternum shows two cuts of the left lateral border of the manubrium and the gladiolus (Fig. 3c, triangles). Comment: these almost longitudinal cuts, obtainedby a bone saw, were produced at the moment of the opening of the thorax on the left para-sternal line, obviously less easy for a surgeon who was operating from the right side of the body. Technique: The sternum shows two large, transversal cuts on the upper part of the sternum (Fig. 3d-d’); the sternal extremities of the 4th, 5th, 6th and 8th right ribs, and the 5th on the left, appear to be completely sectioned (Fig. 4a-b, triangles). Comment: The cuts of the sternum were evidently produced by a large knife, transversally sectioning the soft tissues of the anterior wall of the thorax, at the beginning of the autopsy. The section of the ribs at the level of the chondro-sternal junction was probably produced with scissors, when the thorax cavity was opened. We found the cast of the thoraco-abdominal cavities of a 5-year-old child. Technique: The mould of the lung, the mediastinum and the xipho-pubic and umbilical-transverse incisions (Fig. 5b) for evisceration were well visible. The negative mould of the vertebral column in the back could also be identified easily. The following are the pollen results (Marchesini & Marvelli, 2006) from the child cast: pollens were found of deciduous Oaks (35.5%), Rockrose (15.6%), Rue (1.4%), various Labiatae like Germander (8.5%), mint (0.7%), Sage (4.3%), Phlomis(8.5%), Lamium(0.7%), Melittis (2,1%), etc. We recovered also the skeleton, still in partial connection, of a newborn. The endocranial cast (Fig. 5a) and the mould of the thorax were still well visible. The following are the pollen results (Marchesini & Marvelli, 2006) from the newborn endocranial cast: pollens were found of Olive (4.0%),Grapevine (0.6%), Chamomile (6.8%), Wall Germander (77.9%),Pine (0.6%), etc. In conclusion, there is a strong prevalence of an aromatic plant like germander, with the presence of olive (probably for the use of oil), grapevine (probably for the use of vinegar or wine), pine (probably for the use of resins) and chamomile. Table 1. Different frequencies of autopsies, craniotomies and thoracotomies in the Medici series. In conclusion, also for the Medici, these very complex evisceration and embalming methods indicate a long-practised and diffused custom, typical of the elite classes of Renaissance (Marinozzi & Fornaciari, 2005). Although post-mortem examinations were frequently performed in a total of three-quarters of cases (Pieraccini, 1986), craniotomy was only carried out in ca. 44% of autopsies, with the exception of the women, while signs of thoracotomy are present in 50% of autopsies. The reason for this respect towards the bodies is not clear, probably to avoid disfiguring of the head for funerary display. 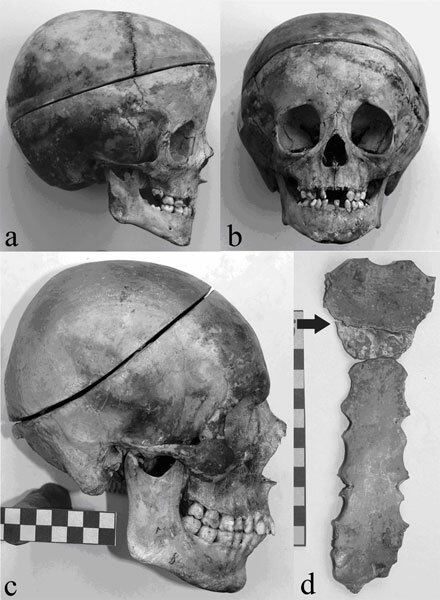 Comparison with the contemporary Spanish series of the Basilica of S. Domenico Maggiore in Naples (Fornaciari & Capasso, 1996; Fornaciari, 1998; Marinozzi & Fornaciari, 2005) shows a larger number of autopsies (75 versus 51%) with fewer craniotomies (ca. 44% versus 84%) and a similar number of thoracotomies (50%). Fornaciari, G. 1998. Italian mummies. In: A. Cockburn, E. Cockburn and T.A. Reyman TA (ed.s): Mummies, Disease & Ancient Cultures. Cambridge: Cambridge University Press, 266-281. Fornaciari, G., Brier, B. and A. Fornaciari, 2005. Secrets of the Medici. Archaeology, 58, 36-41. Fornaciari, G. and L.Capasso, 1996. 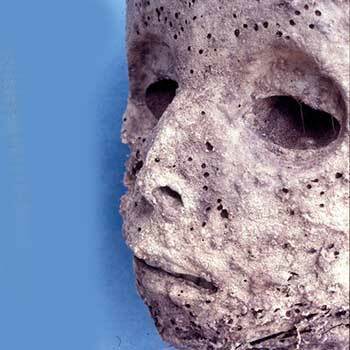 Natural and artificial mummies in Italy (13th-19th centuries). In: K. Spindler, H. Wilfing, E. Rastbichler-Zissernig, D. zur Nedden and H. Nothdurfter (ed.s). The Man in the Ice, Human Mummies. Wien-New York: Springer-Verlag, 195-203. Fornaciari, G., Vitiello, A., Giuliani, S., Giuffra, V. and A. Fornaciari, 2006.The "Medici Project": first results of the explorations of the Medici tombs in Florence (15th-18th centuries).Paleopathology Newsletter, 133, 15-22. Fornaciari, G., Vitiello, A., Giuliani, S., Giuffra, V., Fornaciari, A. and N. Villari, 2007. The Medici Project: first anthropological and paleopathological results of the exploration of the Medici tombs in Florence. Medicina nei Secoli, 19, 521-544. Marchesini M. and S. Marvelli, 2006. Il corpo di Cangrande della Scala. Risultati delle indagini palinologiche. In: E. Napione (ed.) Il corpo del Principe. Ricerche su Cangrande della Scala. Venezia: Marsilio Editori, 93-1003. Marinozzi S. and G. Fornaciari, 2005. Le mummie e l'arte medica nell'Evo Moderno: per una storia dell’imbalsamazione artificiale dei corpi umani nell’evo moderno. Roma: Casa Editrice Università La Sapienza. Pieraccini, G., 1986. La stirpe dei Medici di Cafaggiolo. Firenze: Nardini Editore. Sommi Picenardi G., 1888. Esumazione e ricognizione delle ceneri dei Principi Medicei fatta nell'anno 1857, Processo verbale e note. Archivio storico italiano, serie V, 1-2, 5-53. Fig. 1. Skulls of the Grand Duke Cosimo I (a, b) and Ferdinando I (c, d) with evident craniotomies. Fig. 2. 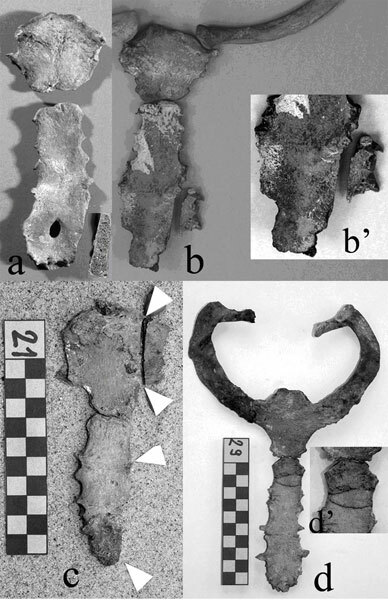 Skulls of Don Filippino (a, b) and prince Francesco (c) with evident craniotomies; sternum of the prince Francesco (d) with deep, transverse incision of the manubrium (arrow). Fig. 3. Sternums of Francesco I (a) and Giovanna from Austria (b, b’) with cut of the inferior tract of the left border of gladiolus; sternums of Cristina from Lorraine with two cuts of the left border of the manubrium and the gladiolus (c), and cardinal Carlo with two large, transversal cuts (d). Fig. 4. 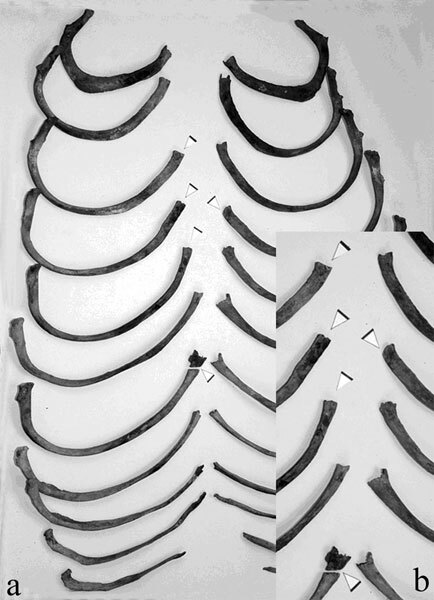 Sternal extremities of the 4th, 5th, 6th and 8th right ribs, and the 5th on the left, with sectioning (triangles).. Fig. 5. Endocranial cast of a newborn (a); cast of the thoraco-abdominal cavities of a 5-year-old child with the mould of the lung, the mediastinum and the and xipho-pubic and umbilical-transverse incisions for evisceration and embalming (b).